We’d love your help. Let us know what’s wrong with this preview of Planet of the Dogs by Robert McCarty. To ask other readers questions about Planet of the Dogs, please sign up. McCarty, R.J. (2007). Planet of the Dogs. Barking Planet Productions. Planet of the Dogs shares the story of a human world consumed by greed. To save the Earth, volunteer dogs leave their own planet and begin to improve humanity by befriending children, beginning with Daisy and Bean. This book has the feel and language of a creation myth. Individual characters are not introduced for several chapters. All of this lends itself for the book to be read aloud. The illustrations were detaile McCarty, R.J. (2007). Planet of the Dogs. Barking Planet Productions. The illustrations were detailed, but did not always match the images that I personally wanted to create for the worlds described. The book is in moments choppy with the chapter transitions. It was also too didactic for my personal tastes. But more than anything, this book demonstrates a love for dogs and a metaphor for how they can improve people’s lives. 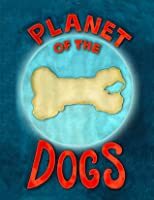 For more information on the book and series, you can visit www.planetofthedogs.net. Students could create their own stories in response, incorporating their own favorite species of animals as heroes. The book could also be used to initiate a conversation on respecting dogs and other animals. Or could begin to consider how pets can help people feel happier. “Our story begins, long, long ago, before there were dogs on Planet Earth” (p. 1). “Our plan is to begin with the children. They are more open to trust, love and learning new ways than adults. We will go to Planet Earth and work with the children” (p. 6). “We dogs are happy and help each other because love is the most important part of our lives. When you give love,” she said, “You bring out love in others. If we come to Planet Earth, and people spend time with us, there will be fewer lonely people and more happy people” (p. 10-11). I read this aloud to my children and we usually read for about 20 minutes a night. We started Planet Of The Dogs right after the kids got home from school, with the promise that as soon as we had our reading done, we would head outside to play before it got dark. The chapters are very short, so after our 20 minutes were up and at the end of each chapter, I gave them the option of ending the reading and going outside. But they were not at all interested in stopping the story! The end of each chap I read this aloud to my children and we usually read for about 20 minutes a night. We started Planet Of The Dogs right after the kids got home from school, with the promise that as soon as we had our reading done, we would head outside to play before it got dark. The chapters are very short, so after our 20 minutes were up and at the end of each chapter, I gave them the option of ending the reading and going outside. But they were not at all interested in stopping the story! The end of each chapter was greeted with “Oh no! Read more Mommy! Keep Going!” Just over an hour later, I insisted that we take a break and head outside since it was already becoming dark! The next day as soon as the kids got off the bus they were asking me if I had finished the book without them. I assured them that I had not even peeked ahead, but that I was waiting for them so that we could finish it together. They eagerly headed towards the house, and I have to admit I was looking forward to reading more just as much as they were! Before we picked up with the story we discussed a little bit about what the world would be like without dogs and we all agreed that there would be less love and laughter in our own lives if we didn’t have our pets, and believe the same would be true for a world without dogs! Planet of the Dogs by Robert J. McCarty is a delightful book for children with some drawings included. It is a tale that takes place long before any dogs were on the earth. Because of greed on the Earth, the Stone City Warriors were getting ready to attack Green Valley and take what didn’t belong to them. The dogs had a meeting and decided to help the people on Earth remember how to love again by sending dogs down to show them how. Only children can hear what the dogs say. No one had seen o Planet of the Dogs by Robert J. McCarty is a delightful book for children with some drawings included. It is a tale that takes place long before any dogs were on the earth. Because of greed on the Earth, the Stone City Warriors were getting ready to attack Green Valley and take what didn’t belong to them. The dogs had a meeting and decided to help the people on Earth remember how to love again by sending dogs down to show them how. Only children can hear what the dogs say. No one had seen or heard a dog before but they quickly found out they are wonderful creatures. They made people smile, helped the sick feel better, helped herd the sheep and protect the farms from intruders, run off bears and rescue children from drowning. I liked how the Planet of the Dogs sent lots of dogs to Earth so that every family who wanted one could have one. Our dog, Abby, gives this book 4 paws up! She loved how the dogs came to the rescue and many found new homes on Earth with families of their own. She also liked how the dogs all worked together and barked and wagged their approval of the rescue plan. In Planet of the Dogs we are introduced to the world long, long, ago, before there were dogs on earth. The dogs have their own planet, where they live in a healthy and helpful society which is presided over by the dog council. When they find out that the people in the peaceful villages of the earth are under threat of attack from the warriors of Stone City, the dogs all agree it is time to act. They have observed enough about the planet earth to know that the adults will not accept them very rea In Planet of the Dogs we are introduced to the world long, long, ago, before there were dogs on earth. The dogs have their own planet, where they live in a healthy and helpful society which is presided over by the dog council. When they find out that the people in the peaceful villages of the earth are under threat of attack from the warriors of Stone City, the dogs all agree it is time to act. They have observed enough about the planet earth to know that the adults will not accept them very readily; but the children, who are more open, and can even understand the language of the dogs, should be approached first. Can the dogs win over the people of earth so that they will trust them and let them help, or will the dogs fail in their mission, and the fierce warriors overcome the village? This is a great story, full of adventure, fun, and fantasy. What child could help but be delighted and enthralled by the thought of dog biscuit trees, and fields of flowers which unbelievably transport you to another world, a world inhabited only by dogs. There is a perfect amount of conflict in the book to keep the story moving along, and yet the kindness and love of the dogs is always there to counteract the encroaching danger. The book also contains very detailed and stunning drawings, which add to the overall atmosphere of the book. I would reccomend this book for children from ages four to twelve, and all dog lovers. Planet of the Dogs teaches us valuable lessons of living in peace and harmony. Dogs naturally love unconditionally, and Robert McCarty portrays this easily and beautifully. This book will teach children, through the subtle, true expressive messages of the dogs, what really matters in life. Green Valley and its lessons should be something we all strive for. This book will make kids want a dog for sure! The author does a great job of creating word pictures about the excitement of the dogs. It was fun reading about how a dog might think and act. 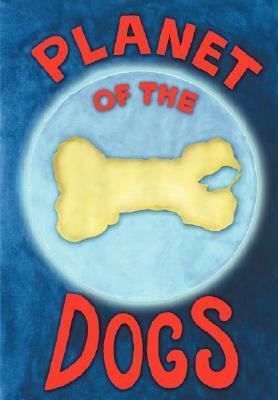 Planet Of The Dogs is a short, quick read and would be great to read to kids. Planet of the Dogs is a riveting tale for young readers that eloquently reminds us of the true nature of dogs; loving, helpful, loyal companions with loads to teach the human race. The story is expertly illustrated with powerful, full-page drawings. For dog lovers of all ages. Robert J McCarty is a former Adjunct Professor at Teachers College, Columbia University and a former Instructor at the School of Visual Arts, New York City. He has written, produced, and directed documentary, educational, and industrial videos and films on a wide variety of subject matter ranging from teenage lifestyles to race relations, and from clinical computing to oceanography. His short film Robert J McCarty is a former Adjunct Professor at Teachers College, Columbia University and a former Instructor at the School of Visual Arts, New York City. He has written, produced, and directed documentary, educational, and industrial videos and films on a wide variety of subject matter ranging from teenage lifestyles to race relations, and from clinical computing to oceanography. His short film, Rooftops of New York, was nominated for an Academy Award®. The Planet of the Dogs series of early reader books were inspired by the many stories made up for his four children and five grandchildren. He is a graduate of Princeton University.